Our Network developed as part of the response to a House of Lords Science & Technology Committee Report. In 2014 our Network and the Paediatric Infectious Network combined and was formally recognised as the North West Paediatric Allergy and Infection Operational Delivery Network. We have the support of a Coordinator and Manager to support our work. From 2016 to 2017 we have worked with the Royal College of Physicians as a designated Future Hospital Site, developing new ways of delivering allergy services to our community. 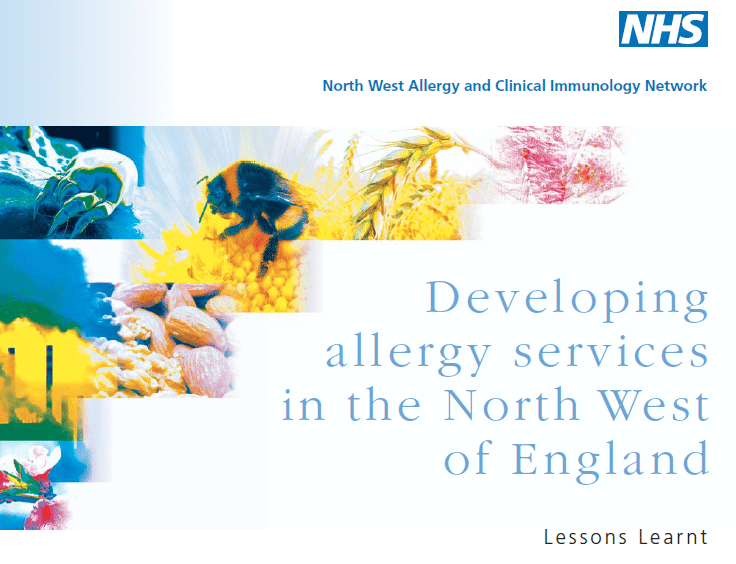 We are proud of the advances we have made for children’s allergy services in the North West of England. A summary of lessons learnt can be found by clicking here. For more information about our role in the Future Hospital Scheme click here.